French funds helped the media group win four board seats at Telecom Italia in December. Yet Vivendi also was backed by long-term holders, including Vanguard, newly released data shows. It suggests in this age of activism that even the most passive of voters can’t be taken for granted. 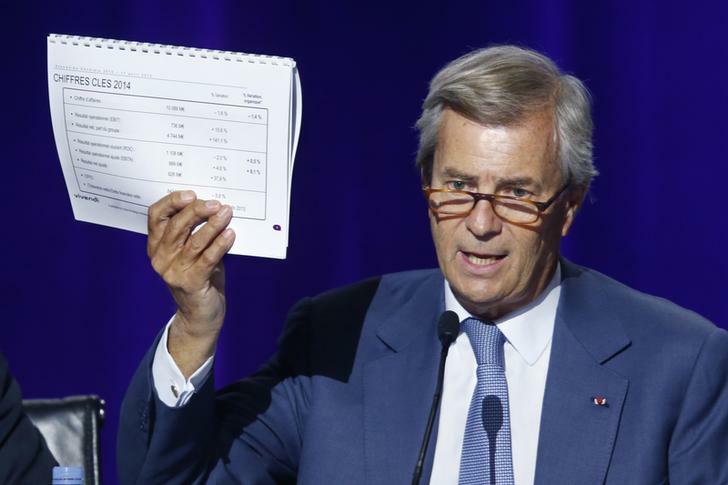 Vincent Bollore, chairman of Vivendi and largest shareholder, shows off documents as he speaks during the company's shareholders meeting in Paris, April 17, 2015. Funds managed by Vanguard backed proposals by Vivendi to increase the Telecom Italia board to 17 members by adding four new representatives, according to minutes of the meeting published by Telecom Italia on Jan. 14. Shareholders of Telecom Italia approved four new board members proposed by shareholder Vivendi on Dec. 15, 2015. Proxy advisors Glass Lewis and ISS recommended that investors not back the proposals. Assogestioni, an association that represents minority shareholders in Italy, expressed concern about the board changes in a letter to Vivendi on Nov. 29.